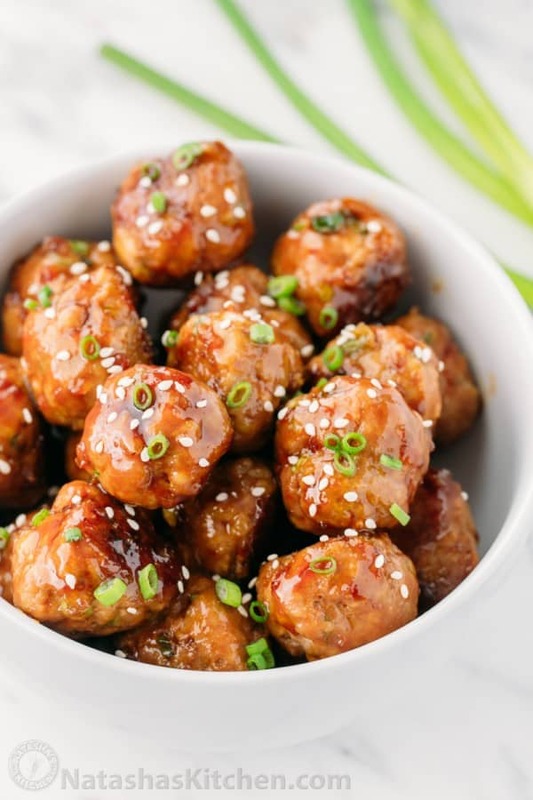 These turkey teriyaki meatballs are juicy and and so flavorful with a homemade teriyaki glaze. They come together quickly making them an easy dinner idea for a busy weeknight. 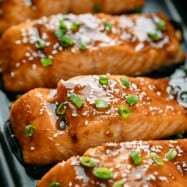 Try them over a bed of steamy rice or with toothpicks as an appetizer. 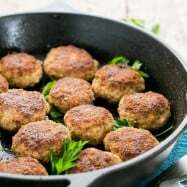 Baking the teriyaki meatballs at a higher temperature seals in the natural juices and produces wonderfully soft meatballs that are healthier than frying. You can easily double this recipe to feed a crowd. This recipe was sponsored by Reynolds®. We are so thrilled to be working with Reynolds again. You can see this recipe on their endless table! Read on to see how Reynolds made (preparation, clean-up and storing) this recipe a breeze! 1. Line a 17×12 rimmed baking sheet with Reynolds Wrap® Parchment paper or foil. Pre-heat oven to 400˚F. 2. 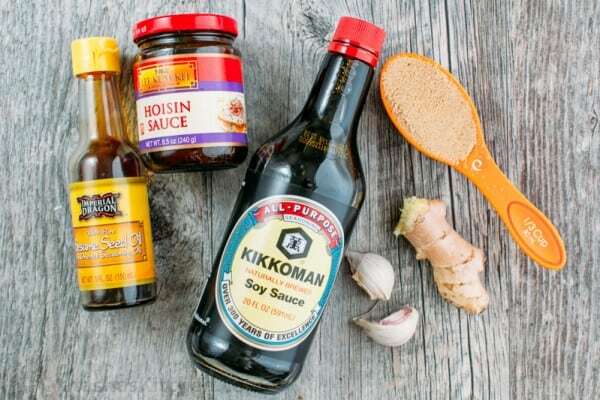 Combine meatball ingredients in a large bowl: 16 oz ground turkey, 1/2 cup bread crumbs, 1/4 cup green onion, 1 egg, 1 tsp fresh ginger, pressed garlic clove and 2 tsp sesame oil. Use your hands or a spoon to mix just until combined. 3. 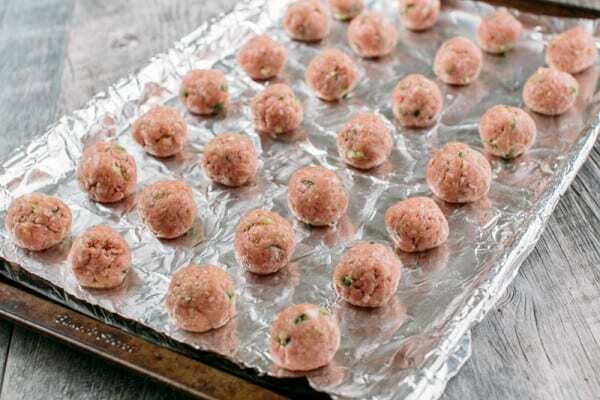 Roll into 1 1/4″ to 1 1/2″ meatballs and bake at 400 for 10 to 12 mins or until juices run clear or a meat thermometer reads 170˚F. Meanwhile, make the sauce. 4. Simmer the sauce ingredients together in a small sauce pan for 3-5 minutes, stirring frequently or until slightly thickened. 5. 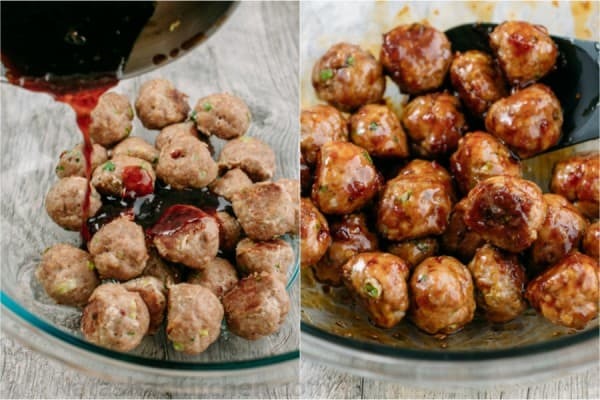 Transfer warm meatballs to a mixing bowl, drizzle with warm sauce and toss to combine. 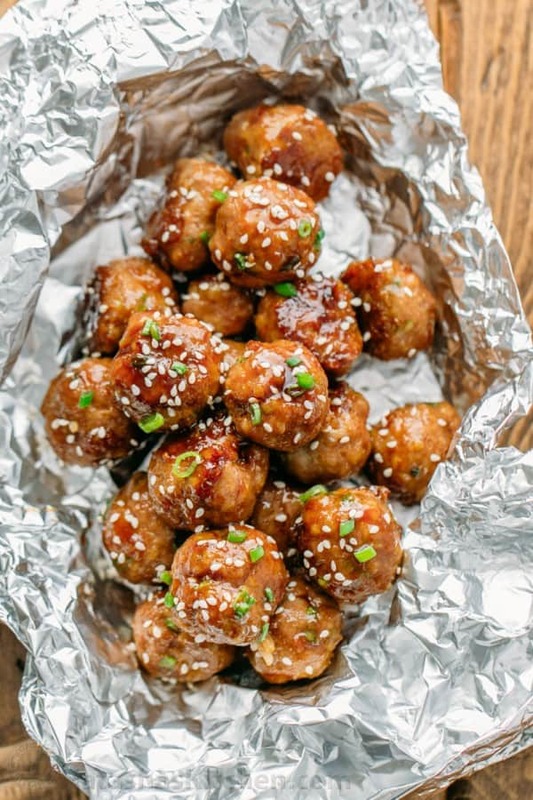 Shortcut: To store leftover teriyaki meatballs, wrap them in foil and refrigerate. These turkey teriyaki meatballs are juicy and and so flavorful with a homemade teriyaki glaze. 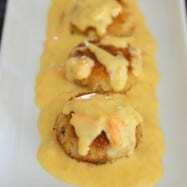 Try them over a bed of steamy rice or with toothpicks as an appetizer. Line a 17x12 rimmed baking sheet with Reynolds Wrap® Aluminum Foil. Pre-heat oven to 400˚F. 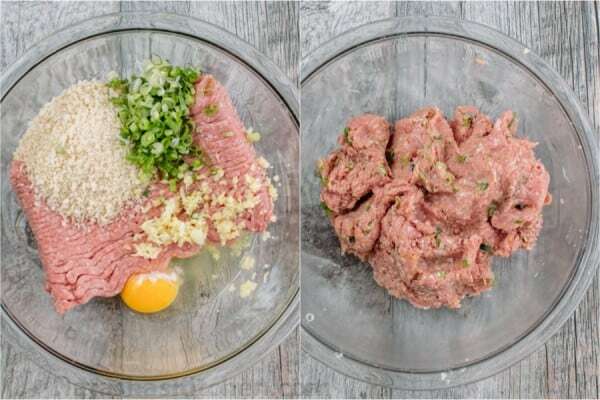 Combine meatball ingredients in a large bowl: 16 oz ground turkey, 1/2 cup bread crumbs, 1/4 cup green onion, 1 egg, 1 tsp fresh ginger, pressed garlic clove and 2 tsp sesame oil. 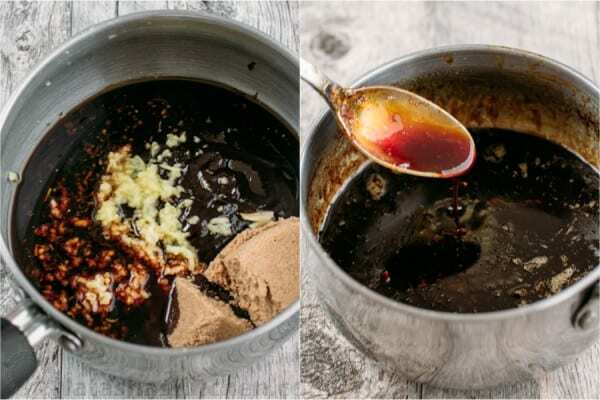 Use your hands or a spoon to mix just until combined. Roll into 1 1/4" to 1 1/2" meatballs and bake at 400 for 10 to 12 mins or until juices run clear or a meat thermometer reads 170˚F. Meanwhile, make the sauce. Simmer the sauce ingredients together in a small sauce pan for 3-5 minutes, stirring frequently or until slightly thickened. 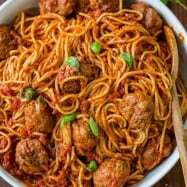 Transfer warm meatballs to a mixing bowl, drizzle with warm sauce and toss to combine. 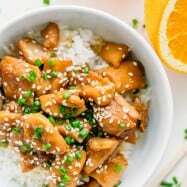 These are so yummy over fluffy white rice. 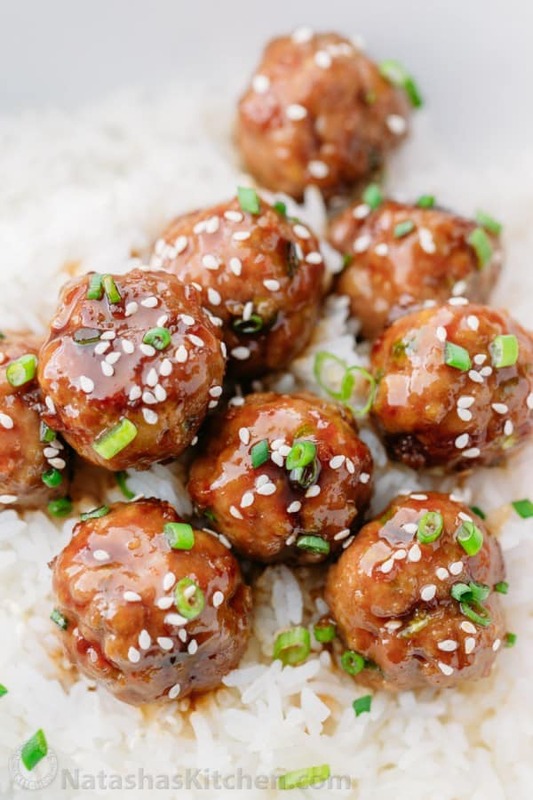 I hope you make and love these teriyaki turkey meatballs. P.S. Make sure to check out Reynolds Endless Table on Instagram – it’s pretty awesome! This recipe was so easy to make and delish! 2) the mouth feel was rather gritty and left a filmy feeling coating. Delicious and very easy!! I did double the sauce recipe since my family like to have extra to pour over rice. Natasha, would it be possible to get nutrition facts added at a later time like calories, fat, etc? Thanks again!